There are so many different cat breeds - but the popular ones include many long hair cats. Actually many think that a pedigree cat is a long haired cat. Almost all of them have two-layered coats: a short, soft undercoat and a longer coat of coarser hair. Still, once they have been well groomed, these different cats breeds of long haired cat are a beautiful sight to behold... They look luxurious, delicate and regal. And what about their behavior? Many think they just position themselves to a couch to be adored (and yes, they are good at that too), but there are real ballerinas amongst them that love to run, play and socialize. Here you fill find information about both long hair cats and and semi longhair cats. These cats are the true long haired beauties. There are different cat breeds that are called semi-long haired. Many of these cats are of ancient origin, natural breeds that developed on their own through the ages before man started to breed them. These cats have a fluffy "mane" around their heads that reach to their chest and the insides of their ears are hairy. They have tufts of hair between their toes and their tails are proud plumes. Big. Beautiful. Blue-eyed. The "puppy cat". The Ragdoll cat has a lovely character, and beauty to match. If you choose to be owned by a Ragdoll, you can be sure you have a true companion. A truly gorgeous cat breed! Here's more info about the Ragdoll's looks. And you will find the ragdoll colors explained here. 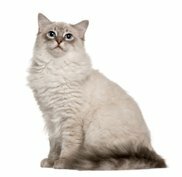 Looking for a Ragdoll breeder? Click here! If you have ever seen a Scottish Fold, you won't forget those big innocent eyes, and the folded ears that make the cat look a bit like an owl. Or an otter. Of the different cat breeds this one certainly has a most unique look. It likes to sit in a Buddha position. And has the most lovable character. You can read more about the Scottish Fold here. 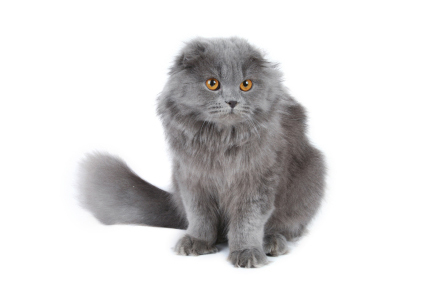 Here is a page about the Scottish Fold's looks and health. And for Scottish Fold rescues. The beautiful cat that has been said to resemble a fox. 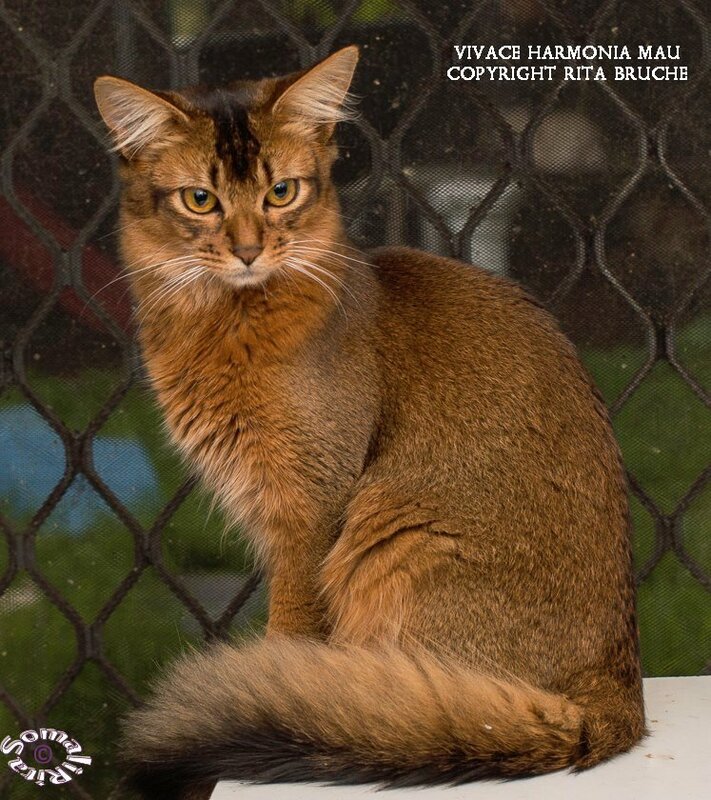 A lovale, affectionate, intelligent beauty: the Somali cat. This beautitul native cat of the Angora area of Turkey (now known as the Ankara area) is a real ballerina. Beautiful, delicate and sociable. If you are searching for a playful cat that fits a family with children, read more about this beautiful breed by clicking here. And here you will find out more about the Turkish's Angora's Looks. Here is information about all the Turkish Angora colors. 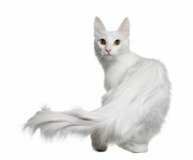 Looking for a Turkish Angora rescue? Click here!